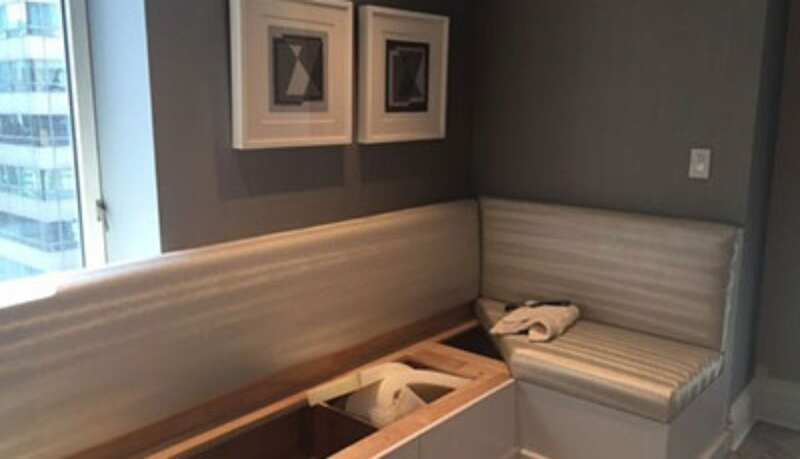 Many of the Manhattan apartments I’ve designed have little to no designated space for dining. But that doesn’t mean you need to resort to a TV tray in your living room for dinner! 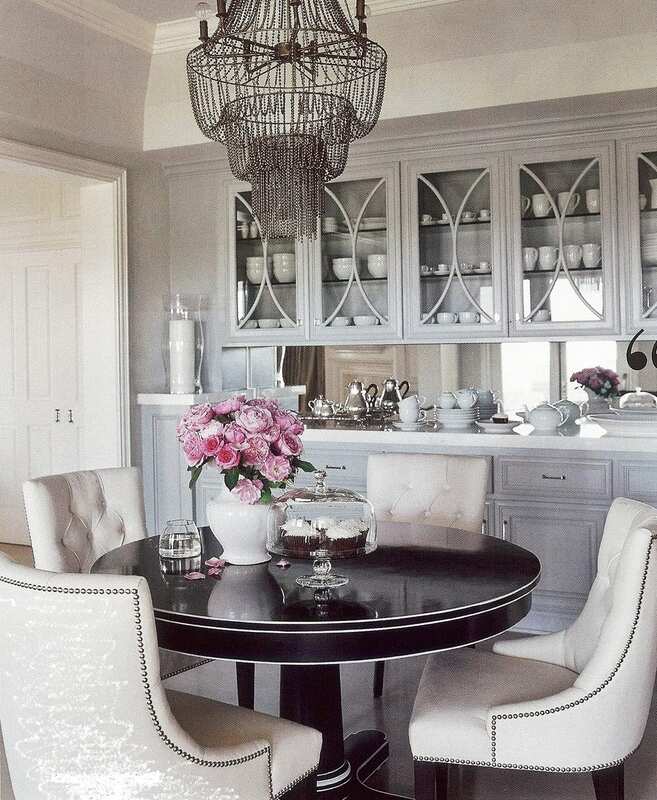 Here are some examples of how I’ve worked elegant eating spots into my clients’ homes. In the photo above, I’ve tucked a round table into a corner of my clients’ living room. 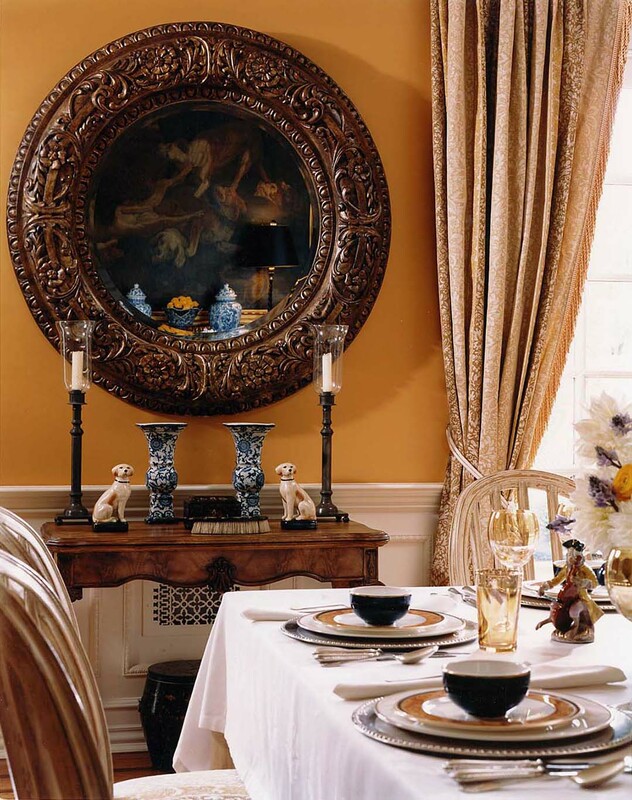 To get the right diameter, I used what was once a center table – smaller than a dining table but larger than a side table. I used a table with a slightly larger diameter to make up for the seating area lost where it touches the walls. My clients have enough room to seat four people for dinner and the option to move the table into the middle of the room for parties. Here is an accent table I found with the correct height for dining, 30″. 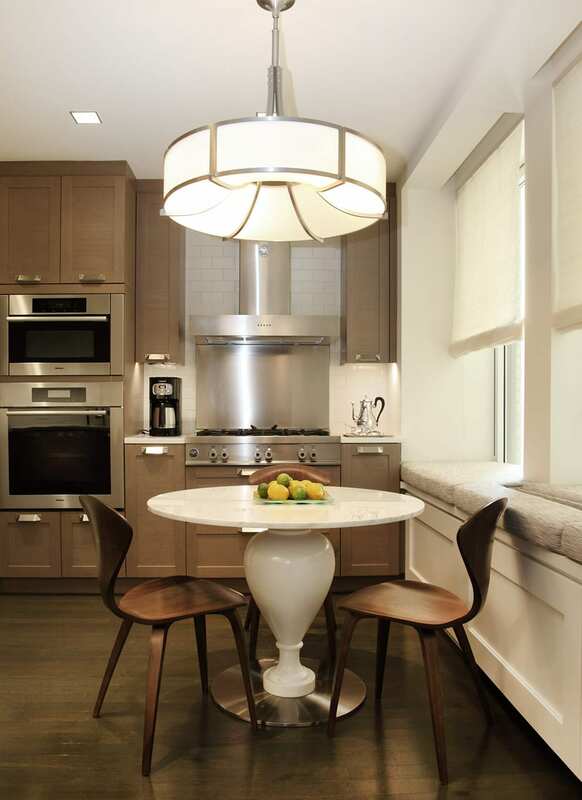 By customizing the size of the marble top to 42″, my clients have enough space in their kitchen for the table and two Cherner chairs. The large pendant light above gives the setting grandness. This last example shows a table surrounded by curved-back chairs. 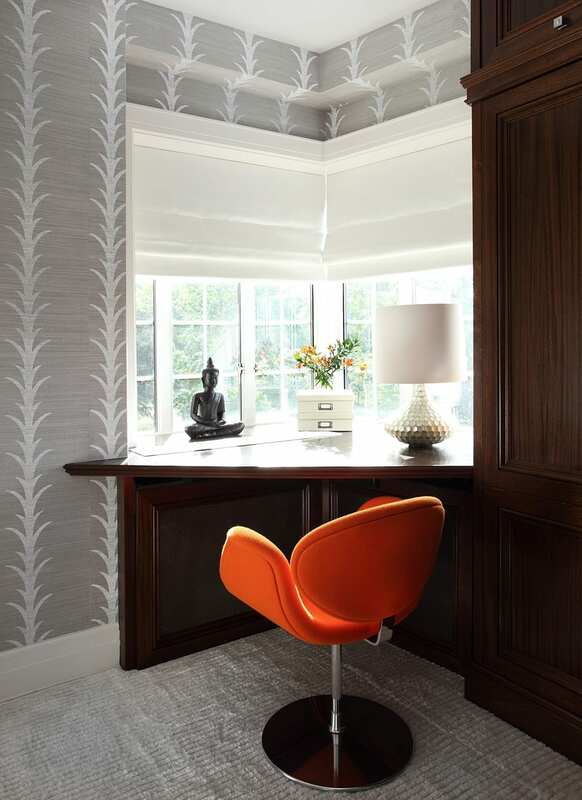 By using a table with a pedestal base and chairs with the same curvature as the table, these clients can tuck the chairs right up against the table, giving them some extra space in that room. And can’t we all use a little extra space? This gorgeous kitchen would fit in any grand European manor house, yet it’s far from the rustic or distressed look one often sees described as “Old World.” To achieve this look, I thought back to my days of studying art at the Sorbonne and visiting the Musee du Louvre. 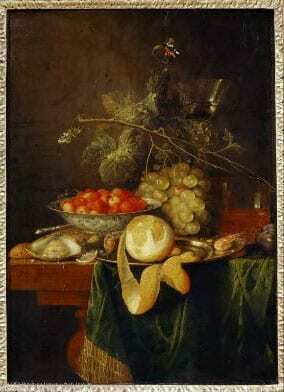 The still life paintings of the 16th and 17th centuries there are filled with rich, deep colors. 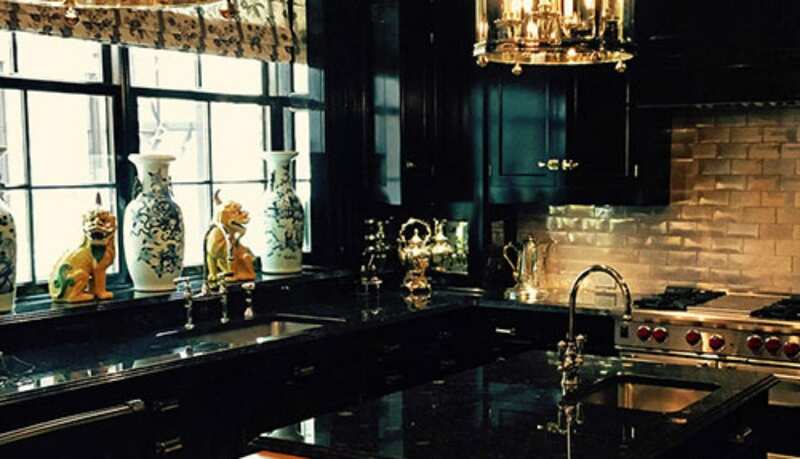 Rather than rough and worn, I allude to the Old World with polished black lacquer cabinets by Christopher Peacock, and gleaming silver pieces from my client’s collection. 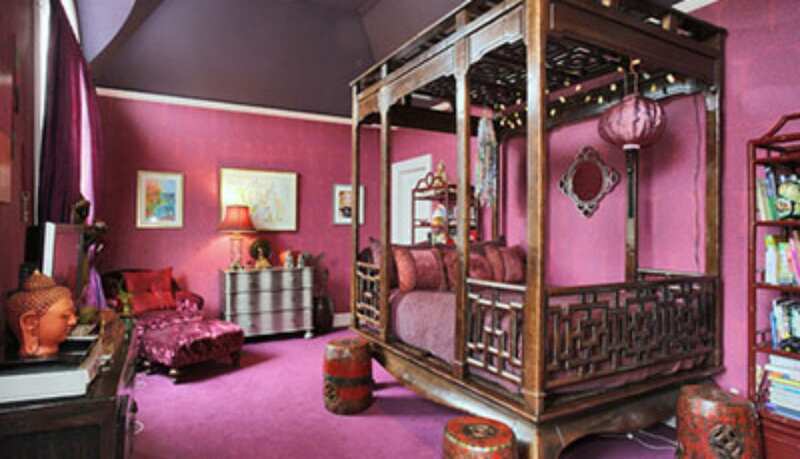 The fabrics in the room bring out vivid shades of gold, green, and red. 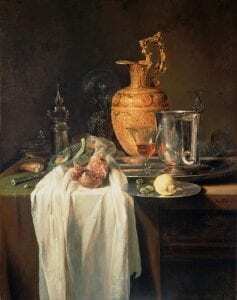 The result is a tribute to the Old World as envisioned by the artists of the time.